Just when we thought the market for new tablet PCs could not possibly expand any further, none other than Michael Dell, CEO and founder of Dell, has revealed that the company is working on a 7-inch Android powered tablet PC. Details are sparse, with the CEO revealing the news at an Oracle conference in San Francisco this week. "Of course, it's nice to have a larger screen," Dell said, although refused to reveal anything more about the device or the plans for an official launch. Dell released the Dell Streak 5-inch screen tablet earlier this year, with the CEO also revealing the company's plans to sell the Streak in major US electronics retail chain Best Buy this coming October – something of a departure for Dell's PC marketing strategy. 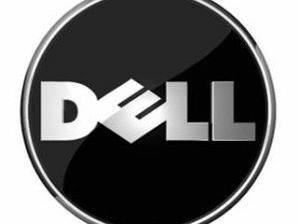 We have contacted Dell UK for further details on the latest tablet PC. Shipments of touchscreen tablet PCs are expected to top 15.4 million units in 2010, according to analysts at iSuppli, with forecasts of an increase to 76.7 million units by 2012. BlackBerry manufacturer Research in Motion (RIM) is also rumoured to be launching a new so-called 'BlackPad' 7-inch screen tablet device in the near future. "You're going to see a spray-and-pray approach with a lot of the tablet market over the course of the next year as vendors throw a number of products out there to see what sticks," said iSuppli analyst Rhoda Alexander.